The Knights of Columbus Council #14186 is a fraternal organization here at Our Lady, established in 2006. Some of the charitable activities sponsored by our K of C are bimonthly pancake breakfasts, kettle corn at various parish and community events, and an annual “Food for the Holidays” Golf Outing fundraiser. They also co-sponsor events with other parish committees such as The Our Lady Feast Day, the Fall Fest and a Scout Clambake fundraiser. 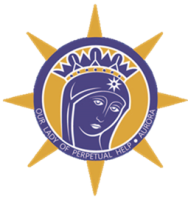 In addition, they sponsor the Religious Education annual subscription to the Diocesan Media Library and other projects of the Religious Education Department. Please note that fees for the Golf Outing can be paid online using our ONLINE Giving program...click on the link and follow the simple directions!